Have you noticed how fast the National Debt Clock ticks lately? The national debt is out of control. Our government keeps spending money we simply don't have. The last time the US balanced a budget was 2001. The annual budget deficit is the difference between cash flowing in and budgeted spending during a fiscal year. Now tell me, why would anyone approve a budget with more spending than more income? The government approves one every year since 2001. The total budget deficit was 1.296 trillion dollars meaning, we spent 1.296 trillion dollars more than what we had. How does that even make sense? Why is it the government thinks it can spend it's way out of debt? It's total lack of common sense. What's the risk associated with the national debt? The same as it would be in your house if you owed an astronomical amount of credit card debt. Your savings go toward your debt instead of investments. Democrats encourage economic growth via a mixed economy of both private and public companies, a welfare state and regulatory oversight. Republicans support low taxes, limited regulation and free enterprise. It seems neither party glances at the National Debt Clock. Maybe it should be a requirement that each of our elected officials have the National Debt Clock on their office wall? Let's take a look at the past. Like the Bible says in Ecclesiastes 1:9 - KJV "The thing that has been, is that which shall be; and that which is done is that which shall be done; and there is no thing new under the sun." What exactly does that mean? There is nothing that is not a repetitive set of patterns. The nature and morale of the world is the same as they were and how they will be. Let's take a look at the old Roman empire for a moment. What ultimately caused the fall of the ancient Roman empire. Their decline was internal, no outside country had to overtake them, they simply imploded. They didn't look at their National Debt Clock either and they are no more. Emperors like Caligula and Nero became known for wasting money on lavish parties. Hmmm, sounds a lot like the current White House Administration doesn't it? 16 vacations in 4 years on your dime. They never had an effective system of selecting a new emperor. The choice was debated between the old emperor, the Senate, the Praetorian Guard and the army. Gradually, the Praetorian Guard (emperors private army) gained complete authority to choose the new ruler, who would then reward the guard for his choosing, repeating the cycle over and over. This example makes me think of how our officials are elected today. They make promises of "entitlements" and are thus elected. The decline of farming was due to many farmers not being able to compete with wealthy men using slave labor. This filled the cities with the unemployed. At one time, the emperor was importing grain to feed over 100,000 people in Rome alone. Not only was the unemployed a burden to the tax dollars, they could not find work due to not being able to compete with the prices of the farmers using slave labor. Sounds a lot like our "outsourcing" to other countries doesn't it. It ultimately undermines the American worker, sending us to the unemployment lines with no hope in sight. The only way to get America out of debt, is to start buying American again. The Roman economy started suffering inflation after the Romans stopped conquering new lands, decreasing the flow of gold into the economy. Even still, gold spending did not decrease amongst the Romans for the luxury items. This resulted in less gold for coins and as the amount in coin decreased, the coins were worth much less. Hmmm, so it sounds like the more dollars we print, they less they are worth doesn't it? During Fiscal Year 2012, the Bureau of Engraving and Printing delivered approximately 35 million notes a day with value of 1.5 Billion. Why is the National Debt Clock Ticking so Fast? In 2000, the national debt was 5.6 Trillion Dollars. In 2008, the national debt was 10.2 Trillion Dollars. That means in 8 years, the administration increased the debt by 5 Trillion Dollars. Keep in mind we were fighting the war in Iraq most of that time. In 2012, the national debt was 16 Trillion Dollars. Different opinions exist on who is at fault. Bush increased the debt by 5 trillions in 8 years and Obama increased the debt by 6 Trillion in less than 4 years. You do the math. Who is spending like there's never a day to pay the piper. Do You Understand How Big the National Debt Is? If you spend one million dollars every day - even on the weekends. How long would it take you to spend the 6 Trillion dollars already spent by the current White House administration? It would take you 16,374 years spending one million dollars a day - without taking a day off. Are you getting how bad it is now? That's why the National Debt Clock is ticking so fast. It's yours and mine. Stop voting for all the issues that don't even matter. Vote for someone that knows how to balance a checkbook and get spending under control. 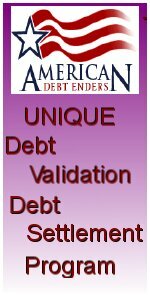 We must become debt free America. It's critical to our current economic situation and especially critical for our children.